During my recent quest to have the longest lashes possible by fall, I attempted to use Latisse for about, oh, 3 days. On the third day I woke up with itchy, red, watery eyes. This condition lasted for another 3 days, and when it finally got better I thought to myself "Should I try it again? It really seems to work for my friends...".﻿ Luckily the less vain side of me reminded me that I had barely been able to get my eyes open on that first morning of angst several days before. I (sadly) threw the Latisse away and started looking into other options. I have many of the lash enhancers that have come out over the last several years (RevitaLash, LASHEM, Lashes to Die For) and had the most luck with LASHEM's lash gel. It has stopped my lashes from falling out and they seem to be far less brittle. I have been on the look out for products to add to my long-lash regimen, so I was excited to find a few new items at Sephora the other day that I think will be a perfect fit for my routine. This is formulated with a PTR trademarked blend of peptides said to enhance the appearance of lash length and density by up to 73% in six weeks. I figure that if I am going to wear eyeliner anyway it may as well be improving my lashes, right? This product is very exciting. I try new mascara on a monthly basis; some are good, some are bad, but most are average. I am convinced that this product will take even those mascaras that are disappointing and make them better. 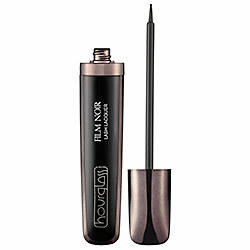 It is basically a glossy, black gel that you apply over a lengthening or defining mascara (reviews on sephora.com pretty much all stated that using it with a volumizing mascara was disastrous) for added drama. I am guessing that this product over Maybelline Falsies is going to be one of the greatest things that has happened to me in a long time. If you order either of these products right now from Sephora, shipping is free through September 3rd with code VOLUME7. Urban Decay's lush lash system is amazing It helped me grow my eyebrows back (damn magnifying mirror) and my lashes are longer than ever. Also, Lush lash mascara by urban decay is great. Its really helped strengthen my lashes. The system helps grow lashes without the scary chemicals that some of them use. Ok, so the ladies at my doctor's office all use revitalash, and i'm glad you stopped using it. their lashes look like a freak of nature. like not even pretty. AND their eyelids are darkened, and it looks pretty strange. These products sound great. 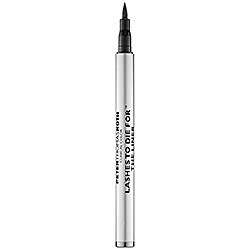 Have you tried the Physician's Formula newer pen? I used it for a while and it definitely worked, and it's like $10. I really want to try the Hourglass one! Thanks for the free shipping code too! I still need to try that hourglass lash lacquer !!!! and hypnoses doll lashes.